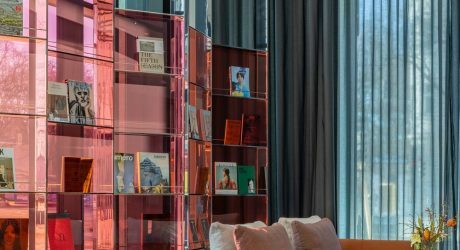 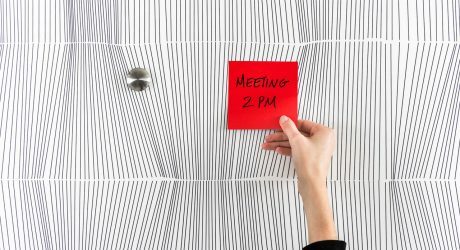 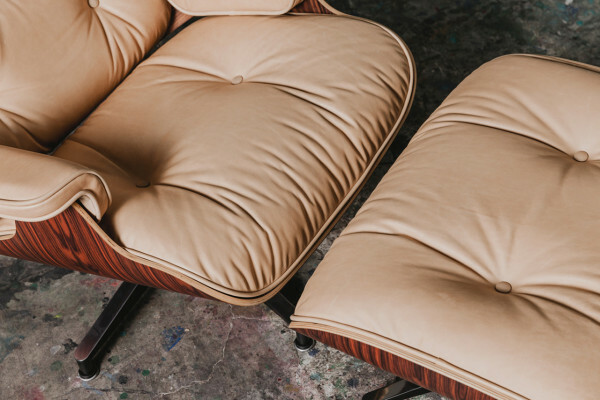 In a fairytale story of modern design, two seemingly unrelated brands come together to create one exceptional product made to withstand the test of time. 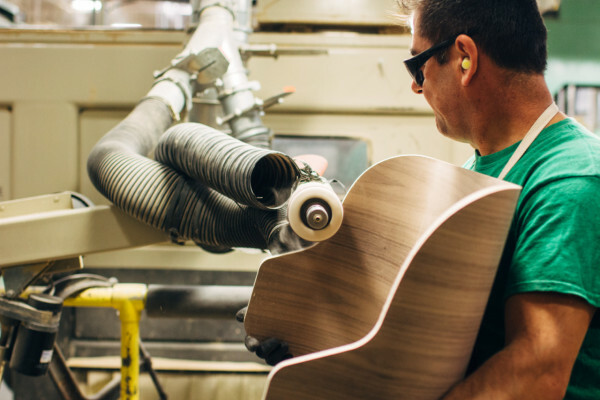 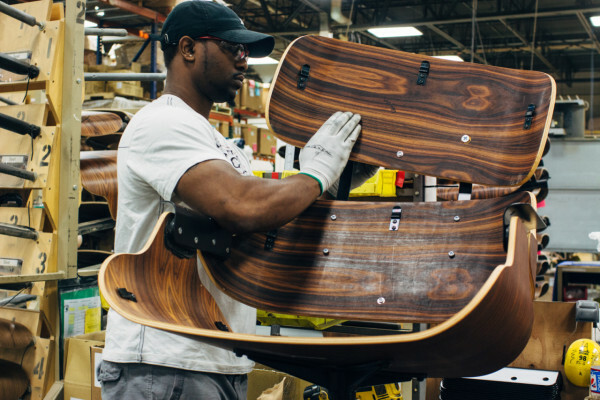 So what exactly does a NYC-based men’s clothing brand and a classic American furniture manufacturer have in common? 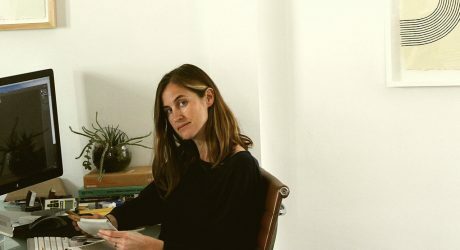 A lot, in fact. 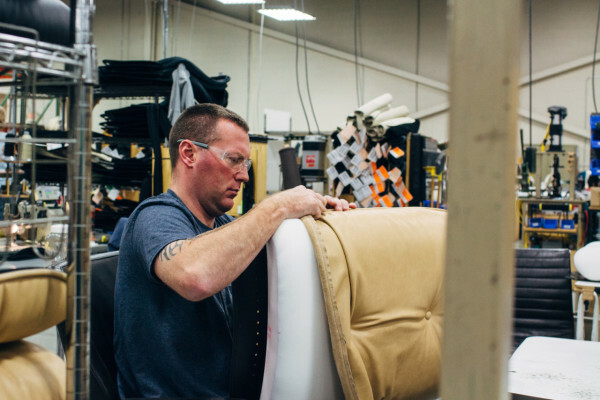 The story started in 2014 when a then-employee of Herman Miller inquired about one of 3sixteen’s trademark denim jackets. 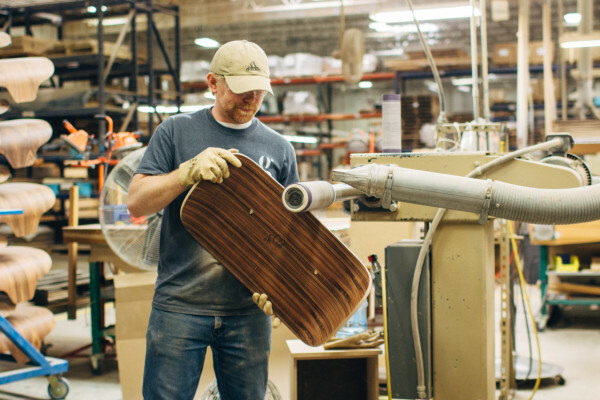 Founded in 2003, the clothing brand prides itself on creating top-notch constructed designs made through quality American manufacturing. 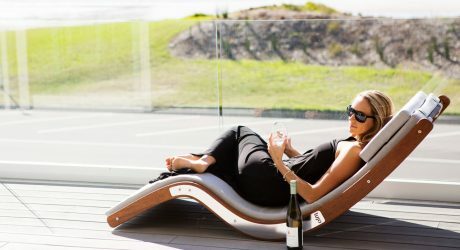 The results are products that get better, not older, with time. 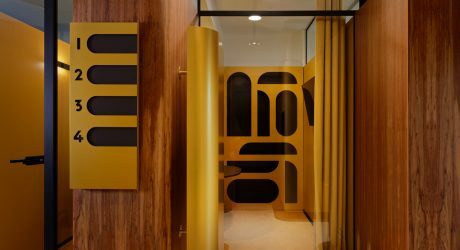 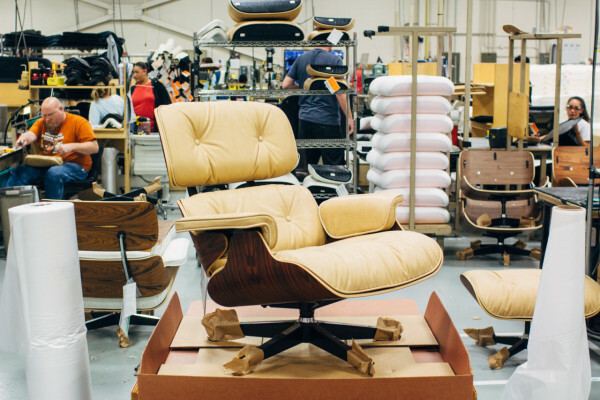 These values resonated with Herman Miller, who is known worldwide for countless heritage designs that are passed down from generation to generation. 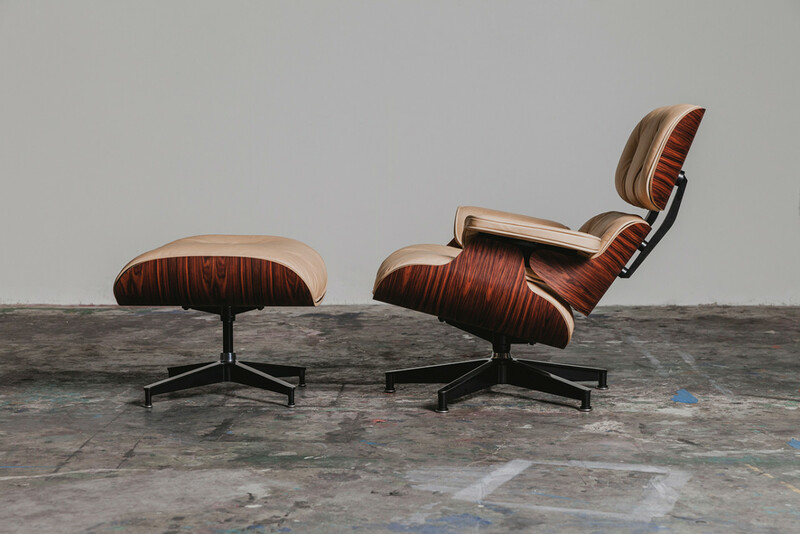 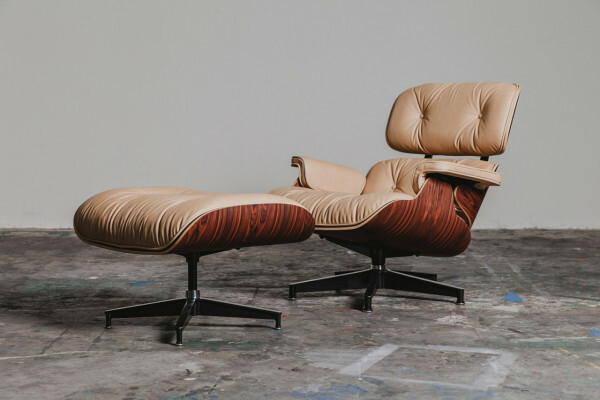 In a once-in-a-lifetime collaboration solidified by shared values, 3sixteen and Herman Miller designed a new rendition of the famous Eames Lounge Chair and Ottoman. 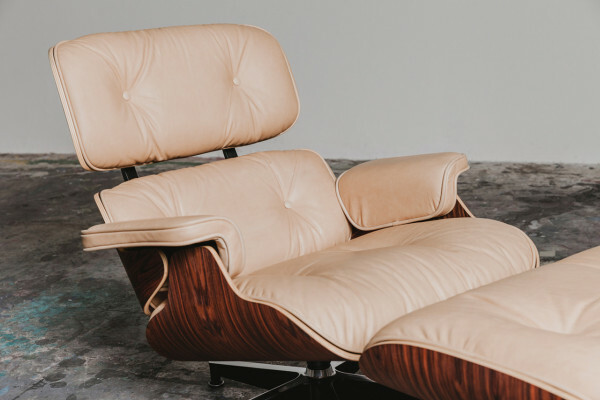 Natural vegetable-tanned leather was chosen as it will develop a darker patina over time that is unique to the owner, similar to 3sixteen’s raw Japanese selvedge denim. 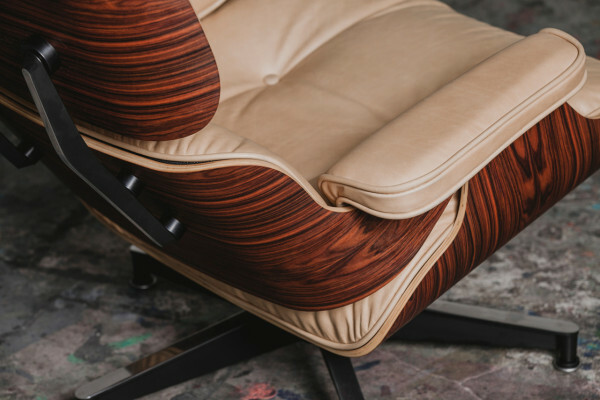 The shell of the chair is made of hand-oiled Santos Palisander wood veneers, similar to the Brazilian rosewoods of the original design. 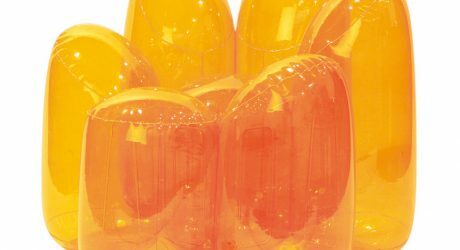 Only three sets were made, never to be reproduced again. 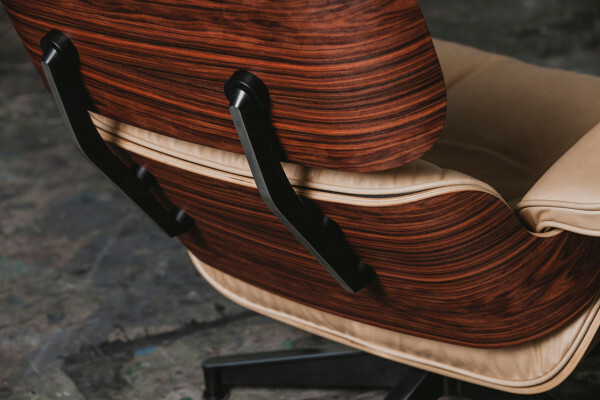 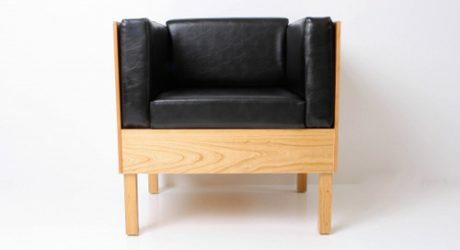 3sixteen plans to document the chairs as they gradually age. 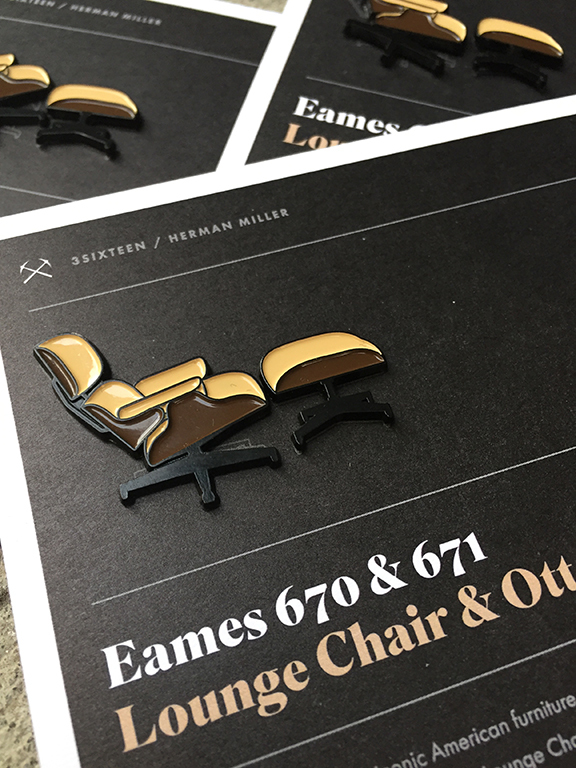 To celebrate this launch, 3sixteen partnered with The Mayven to create a one-time run, commemorative enamel pin set of the iconic Eames Lounge Chair, complete with the Ottoman! 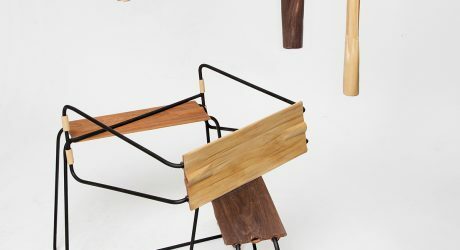 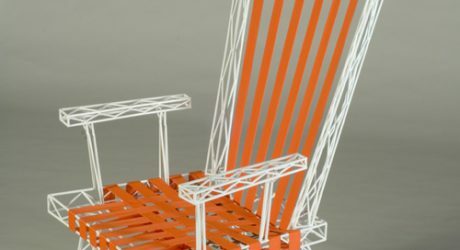 While we can’t all own one of the three customized chairs that came from this partnership, sporting one of these pins celebrates modern collaboration, human values, and—of course—beautiful, age-old design. 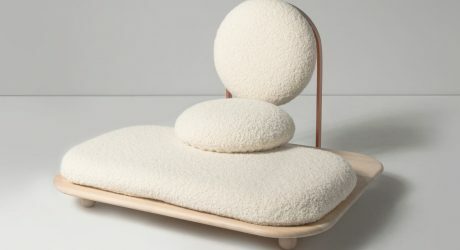 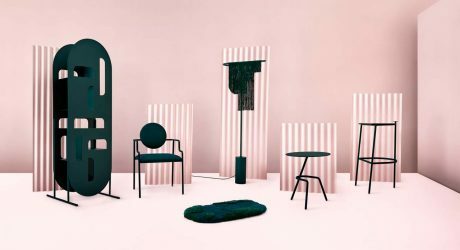 Hi Thanks Bye jumps in the ring with a monochromatic collection of furniture inspired by Canadian landscapes and Chinese gardens. 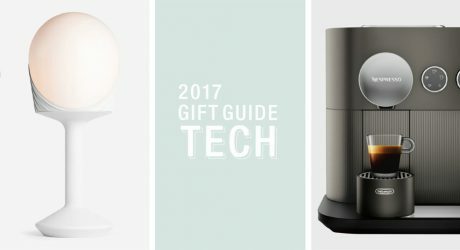 We've been check-marking tech designs all year for this end of the year, holiday gift guide – so, here's our design-friendly picks.